The exchange between Mr Hitchens and the Caliban, at 0:40, is worth watching. Our man, by the way, appears at 0:45 and 1:23. Today the debate is ‘legalize or not’; tomorrow, after it becomes law, the debate will be whether the bureaucracies have the right to implement drugs upon us, as they do with approximately 1,000,000 boys in the UK, for not acting like good little feminists, in state schools. 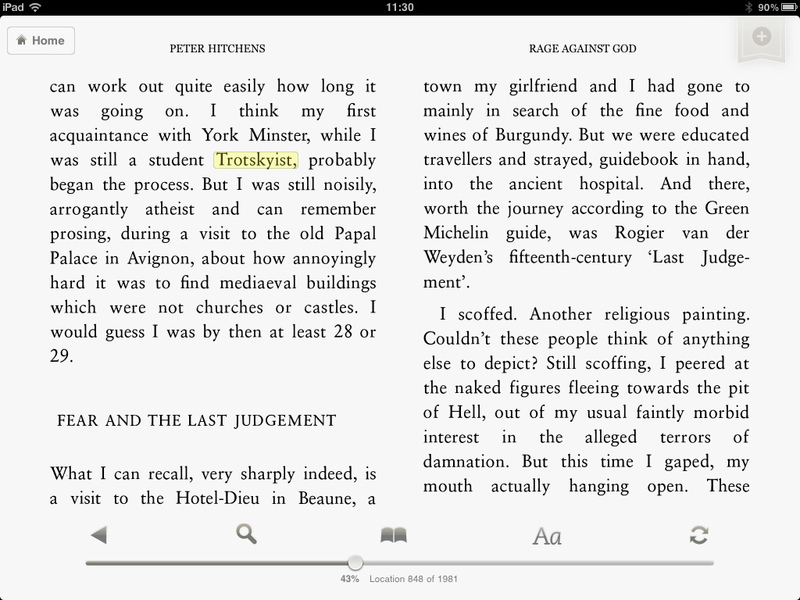 Peter Hitchens the ex Trotsyist? I guess it’s all about atonement. That would be his late brother, Christopher, who was a Trotskyite. And for his penitence, became an American citizen. …or about getting beyond adolescence. adolescence? I suppose you could argue that being an undergrad is a kind of prolonged adolescence. Peter Hitchens was a Trotskyist when he was an undergrad at York and for about a decade after although his motivation for this is a little more complex than simply being dragged into the zeitgeist. Thanks for the link Louise, I’ve not read all of Rage Against God but I certainly read the bit about the fear of damnation etc – it struck a rather ominous chord with me. I think really very good, what I’ve read so far.